It’s a new day, and new features must be added, new bugs discovered (and created), new content be made. I wish everyone luck, and remember it’s all about the fun in the process! Art is hard part 2. Aka it takes to long! I’m no artist and art takes too long! So yeah, this is my WIP entry, an Idle Game! You make money by making games! EA Style! It needs balancing, upgrades, music and polish before being ready. I pretty much didn’t worked this day, so not a lot of stuff done. But project is not that big, so I hope to finish it tomorrow nicely! Now, heading to sleep, it’s almost 4AM! – RedPanda aka Dmytro Kalchenko! Progress, as day 1 is heading to the end. So my, apparently, not so original idea, was to connect worlds (whoa) to get resources from them. There is going to be an AI tomorrow, hopefully. I released my 1st finished game, on Android! Hello folks of Ludum Dare! I just released my 1st ever game that I finished and put it out there! This was whole new experience for me, sometime frustrating, now, relieving. 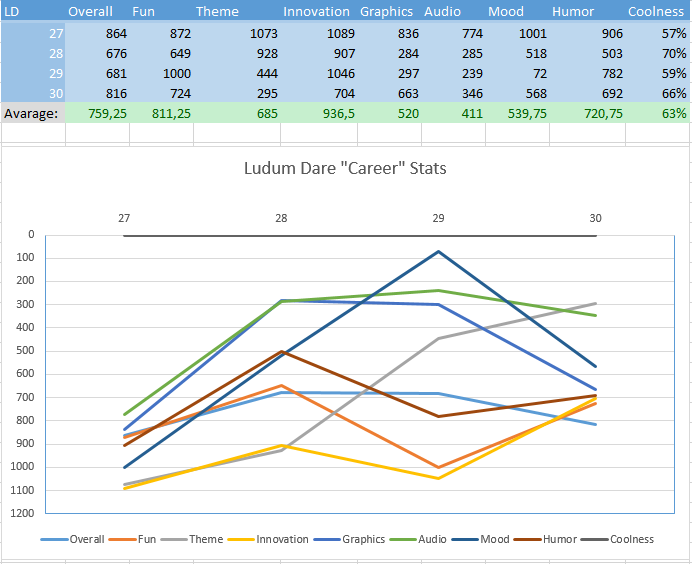 During 3 times I participated in Ludum Dare, it always was awesome experience, even if, again, frustrating sometimes. Now I decided it’s time to share the game with more people. You’re in mine, ore is falling down into your minecart, but someone thinks it’s funny to also drop bombs at you! You need to tap on bombs to detonate them, and let as much ore as you can into minecart! That’s pretty much it. There are two occasional power-ups: Bomb Destroyer, and Time Slower. First, destroy all bombs on screen upon tap, second, slows change of gravity. The link to Google Play: click. If you find any bugs, or just want to share some feedback. Feel free to tweet me, email me, write a review on Google Play, or write a comment here. So please, play the game, if you like it consider sharing with friends, if not, well, I am sorry to disappoint you. I’ll try better next time! 34 queries executed in 0.132 seconds.